This article is dedicated to the Psoas (pronounced so-az) muscle which sheathes the sciatic nerve attachments and is one of the keys to relieving sciatic compression. We’ll briefly review what’s special about the Psoas, how it can be affected by a sedentary lifestyle and by traumatic stress, and then discuss some options for supporting it, with emphasis on using the NES Health Total WellNES System (TWS). The discussion will focus on the Psoas Major muscle (versus the much smaller Psoas Minor, which is present in only about half of the population). 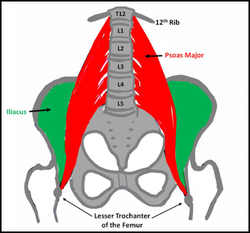 The Psoas is classically known as a hip flexor; it originates in the lower back (at the level of the twelfth thoracic vertebra, T12) and continues to grow out of the lumbar spine (L1‒L5). Flowing diagonally through the core, the Psoas combines with the Iliacus to form one tendon that attaches to the inside of the thighbone (femur) at the lesser trochanter. Besides being a hip flexor, the Psoas plays a larger role as a holistic muscle, integrating facets of mind, body, spirit, and emotions. It affects the whole person, and its vitality profoundly influences many aspects of our health and well-being. Physically, the Psoas is the deepest muscle in the human body; it connects the spine to the legs. It is central to the core and affects structural balance, mobility, flexibility, and organ functions. Extended periods of sitting, keeping the hip flexors in a relaxed, contracted state, tends to inhibit circulation, muscle conditioning, and even nerve response. A constricted lower Psoas can lead to problems in the low back, hips, knees or ankles, sciatica, tendonitis, and various other issues. The Psoas connects to the diaphragm at the T12 level—at a location known as the Solar Plexus. The diaphragm muscle, a dome-shaped muscle at the base of the ribcage, is the essential muscle of breathing. Any restrictions in the upper Psoas tend to impede diaphragmatic breathing and impact the body’s oxygenation process. The diaphragm and the Psoas further connect through tendons, ligaments, and fascia. Health in one affects health in the other. The Psoas is also an organ of perception and interfaces with the nervous system, primarily through its proximity to the lumbar nerve plexus. It is intricately involved in the fight-flight-freeze stress response. Stress tends to trigger and tighten the Psoas; the Psoas in turn helps to prepare the body to run away or contract into a fetal position for safety. Chronic stress can lead to Psoas dysfunction and pelvic instability. Through its role in responding to stress, the Psoas is also related to adrenal health and ultimately the immune system. Nourishing the adrenals can help restore a dysfunctional Psoas, and a supple Psoas can help replenish depleted adrenals through its massaging action. While several of the main meridians of Traditional Chinese Medicine (TCM) flow through the abdominal and pelvic regions and have connections to the Psoas, the muscle is energetically governed by the Kidney meridian , associated with Energetic Integrator (EI)-6. In TCM, the Kidney meridian belongs to the Water element, which embodies various qualities to include courage, survival, and fear. Unprocessed feelings of fear and memories of traumatic stress can be held in the Psoas and play a role in Post-Traumatic Stress Disorder (PTSD), depression, anxiety, sleep disorders, and various other mental/emotional issues. On a more spiritual level, the Psoas interconnects with the three lower chakras (Root, Sacral, and Solar Plexus) and embodies their respective themes of grounding, sensuality, and self-awareness. 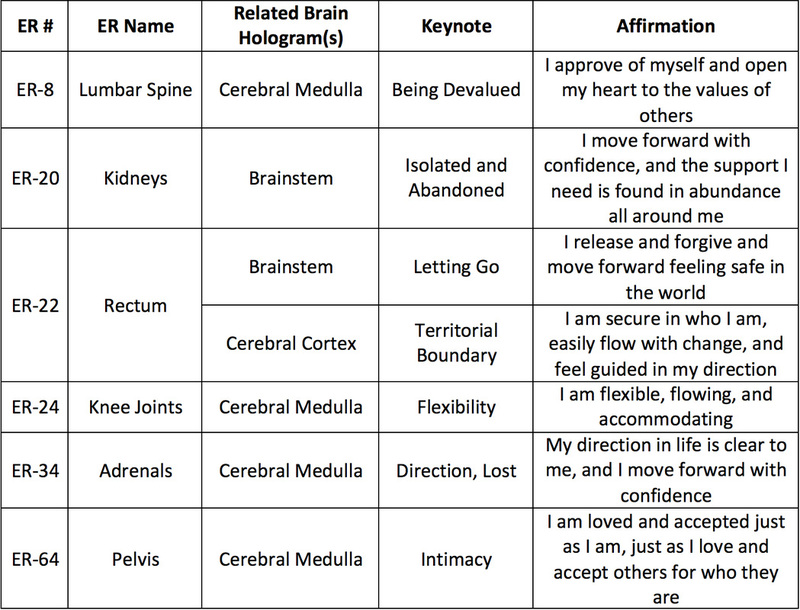 Chakra balance and Psoas condition go hand in hand. So, how do we keep the Psoas muscle vital and fully functional? Since the human Psoas has little to no viable fascia protecting it, palpating and physically manipulating the muscle are usually not recommended (unless working with a well-trained, trusted practitioner), as it may trigger the fear/stress response rather than having a positive impact. Koch, Liz. The Psoas Book, 3rd ed. Felton, CA: Guinea Pig Publications, 2012. Koch, Liz. Core Awareness: Enhancing Yoga, Pilates, Exercise, and Dance, Revised Edition. Berkeley, CA: North Atlantic Books, 2012. Staugaard-Jones, Jo Ann: The Vital Psoas Muscle. Berkeley, CA: North Atlantic Books, 2012.